Zaha Hadid Dies Aged 65 Archi-new - Free Dwg file Blocks Cad autocad architecture. Archi-new 3D Dwg - Free Dwg file Blocks Cad autocad architecture. The Iraqi-born British Architect Dame Zaha Hadid, DBE (1950-2016) has died aged 65, in Miami, Florida. According to reports from the BBC, Hadid was being treated in hospital for bronchitis when she suffered a heart attack. Earlier this year she became the first sole woman to receive the RIBA Royal Gold Medal at a ceremony in London. 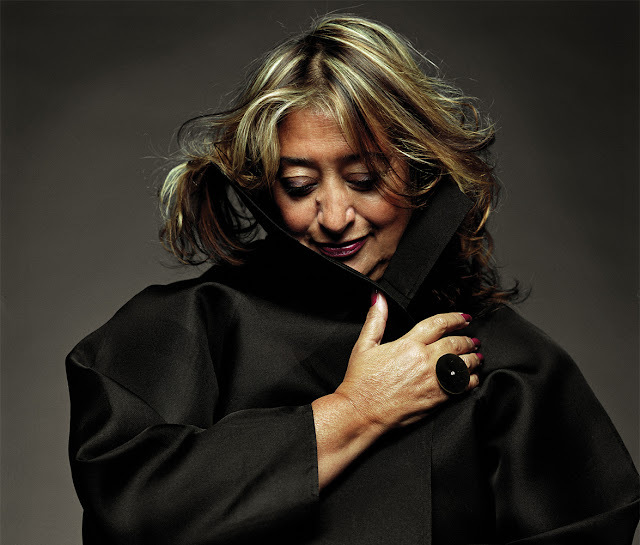 By 1979 she had established her own practice in London – Zaha Hadid Architects – garnering a reputation across the world for her ground-breaking theoretical works including The Peak in Hong Kong (1983), the Kurfürstendamm in Berlin (1986) and the Cardiff Bay Opera House in Wales (1994). "In our current culture of ticking every box, surely Zaha Hadid succeeds, since (to quote the Royal Gold Medal criteria) she is someone “who has made a significant contribution to the theory or practice of architecture.... for a substantial body of work rather than for work which is currently fashionable.” Indeed her work, though full of form, style and unstoppable mannerism, possesses a quality that some of us might refer to as an impeccable ‘eye’: which we would claim is a fundamental in the consideration of special architecture and is rarely satisfied by mere ‘fashion’. British game of platitudinous waffle that is the preferred cushion adopted by many people of achievement or power. Her methods and perhaps much of her psychology remain Mesopotamian and not a little scary: but certainly clear. Our Heroine. How lucky we are to have her in London." This is absolutely terrible news. Dame Zaha Hadid was an inspirational woman, and the kind of architect one can only dream of being. Visionary and highly experimental, her legacy despite her young age, is formidable. She leaves behind a body of work from buildings to furniture, footwear and cars, that delight and astound people all around the world. It was only last month that I had the enviable task of awarding Zaha the 2016 Royal Gold Medal for architecture – she was delighted to receive the recognition and adds the medal to an amazing collection of awards, not least winning the RIBA Stirling Prize two years running. The world of architecture has lost a star today. Details of Zaha Hadid’s memorial service will be announced shortly.